This chapter analyzes the role of non-market actions (NMAs) in the competitive position of firms in the European mobile telecommunications industry. First, the bases and uses of NMAs are reviewed and classified. Second, the use of legal actions as NMAs to erode the competitive position of first-mover firms is examined. Third, the findings of an empirical study confirming the effectiveness of legal actions as competition tools in the European mobile telecommunications industry are analyzed. Lastly, some conclusions, future lines of research and practical recommendations are presented. Over the last decade the European mobile telecommunications industry has experienced unprecedented growth. The industry has expanded from a mere 35 million users with an average penetration rate of 12 percent in 1996 to more than 450 million users with an average penetration rate of over 100 percent at the end of 2006. In fact, 17 European Union (EU) member states have now exceeded 100 percent penetration (European Union, 2007). The spread of digital technologies and market liberalization is responsible for this rapid expansion. Not all operators, however, have benefited equally. The technology in the mobile telecommunications industry is available to all firms, and identifying and copying innovations introduced by competitors is easy. Although this situation should cause pioneer operators to lose their first-mover advantage rapidly, pioneers have been shown to maintain their advantage (Fernández and Usero, 2007). An analysis of other—presumably more effective—ways of competing for follower firms, then, is needed. Firms can defend themselves against rivals with a variety of competitive actions such as product, pricing or advertising activities (Smith et al., 1992). These are all market actions, but non-market actions (NMAs) are available to firms too. NMAs target politicians and regulators, the media, citizens and courts. Lobbying government, managing public or stakeholder opinion, and taking legal actions against competitors or the government itself are all examples. The use of NMAs–particularly legal actions–to obtain competitive advantages has become “a necessity, not an option, in business” (Shell, 2004: 19). NMAs serve to complement–even replace–more conventional actions that are designed to implement a firm’s strategy (Yoffie and Bergenstein, 1985). Their use is especially effective when business models and technologies can be easily replicated or when many of the business opportunities are controlled by government (Baron, 1995), as is the case in the mobile telecommunications industry. 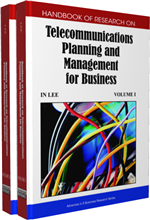 To discuss the bases and uses of NMAs and highlight the main types employed in the mobile telecommunications industry. To analyze the use of legal actions to erode the competitive position of first-mover firms in the mobile telecommunications industry. The chapter is organized as follows. First, the European mobile telecommunications industry is briefly described. Second, the effectiveness of NMAs as competition tools and their relevance to the mobile telecommunications industry are discussed. Third, the different types of advantages that legal actions bring are analyzed, along with the findings of an empirical study confirming the effectiveness of legal actions at eroding the pioneer advantage of European operators. The chapter concludes with some final thoughts and outlines some possible future lines of research. One of the reasons the mobile telecommunications industry has grown rapidly in Europe is the strong support given to it by the European Union (EU). The EU has made great efforts to establish a harmonized framework for the regulation of electronic communications services and networks, and associated facilities and services. The process began with the Green Paper on Mobile and Personal Communications (COM(94)145 final) and finished with Directive 2002/21/EC and another four specific Directives on a common regulatory framework for electronic communications networks and services. Non-Market Actions - Financial Contributions: Providing financial support for politicians. They include measures such as funding political parties or hiring employees with political experience. Non-Market Actions - Constituency Building: Informing and encouraging those who could be affected by public policies that have an impact on the firm to embark on political action.